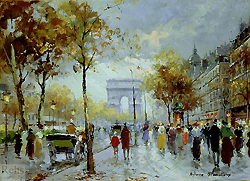 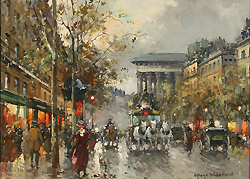 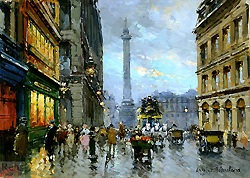 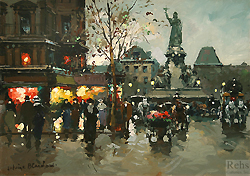 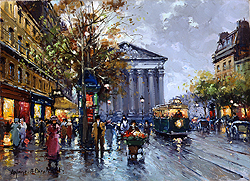 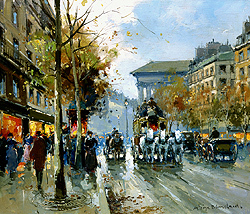 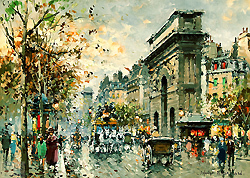 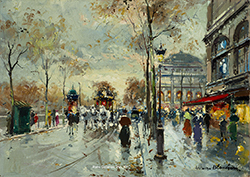 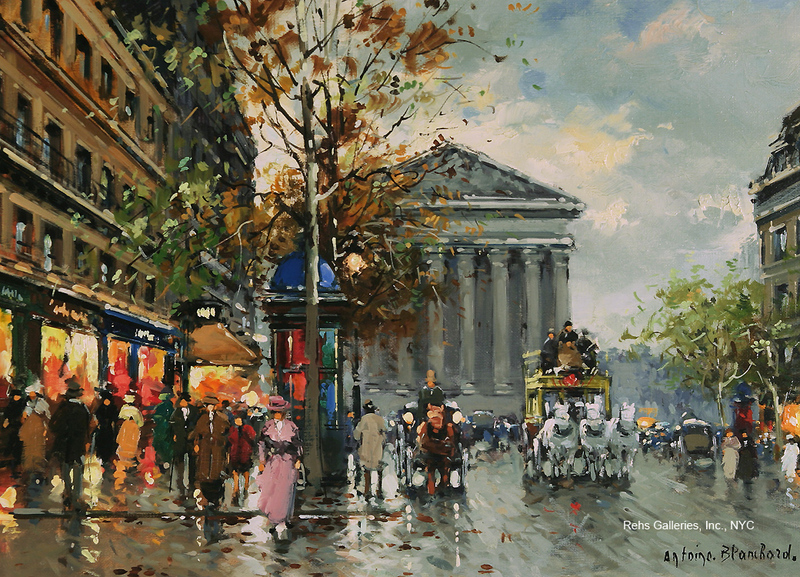 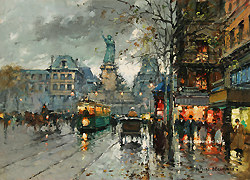 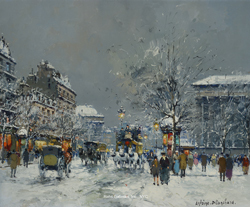 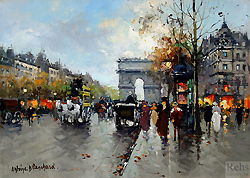 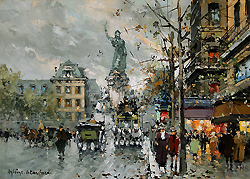 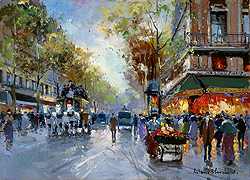 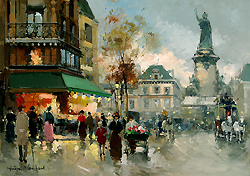 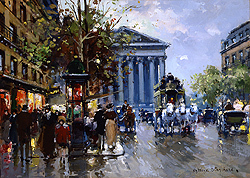 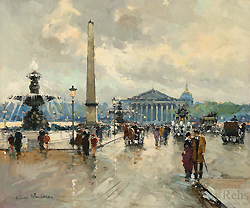 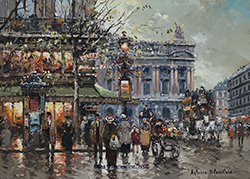 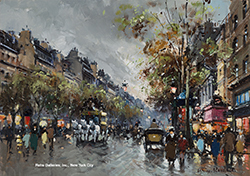 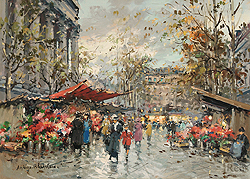 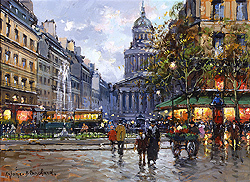 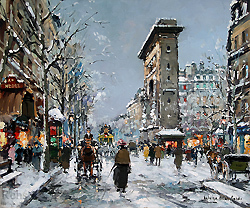 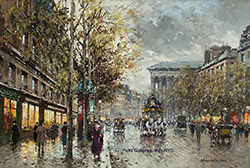 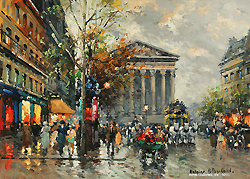 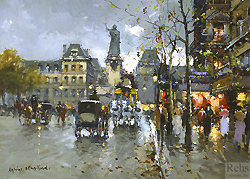 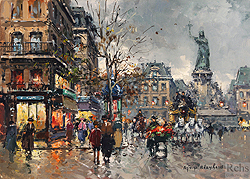 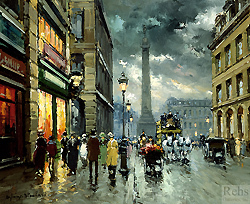 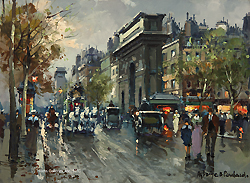 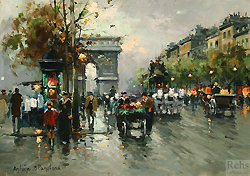 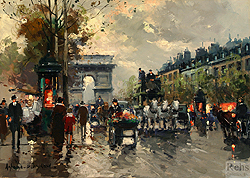 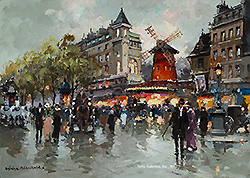 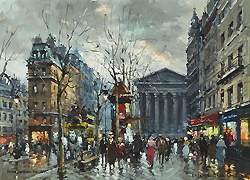 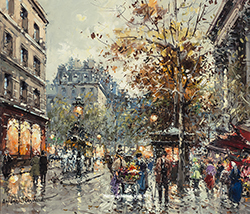 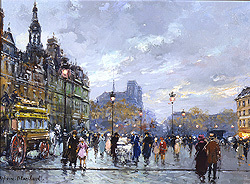 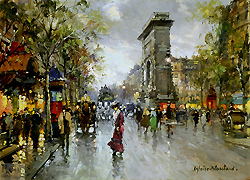 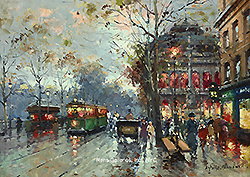 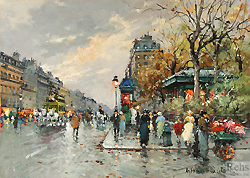 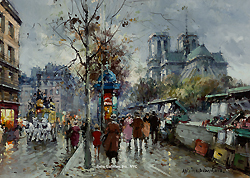 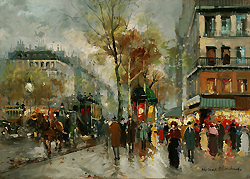 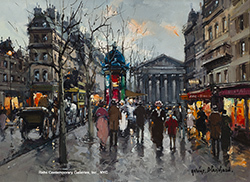 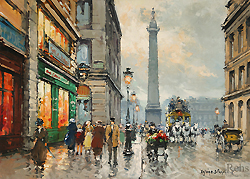 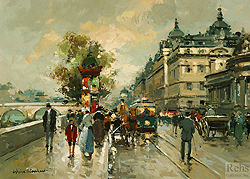 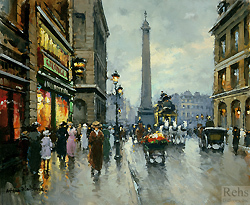 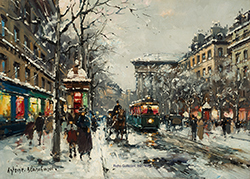 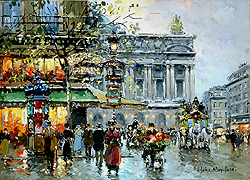 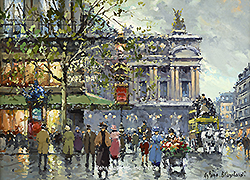 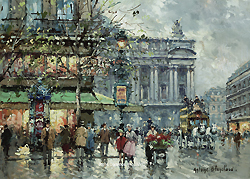 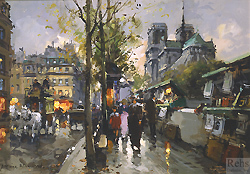 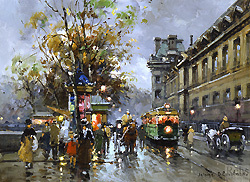 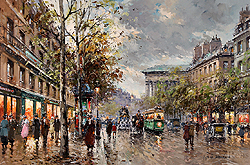 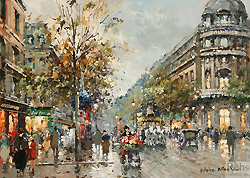 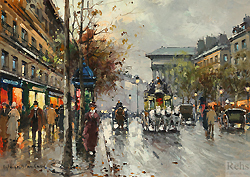 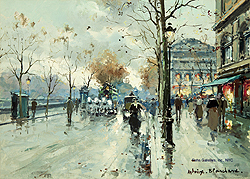 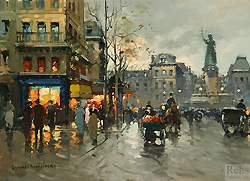 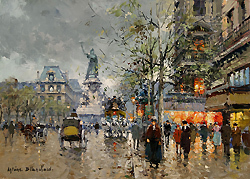 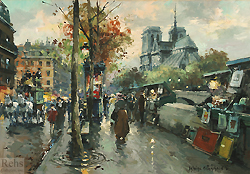 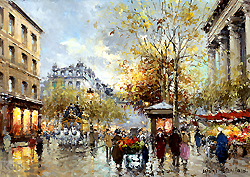 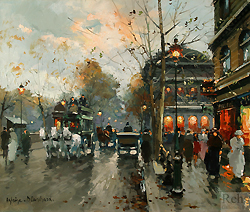 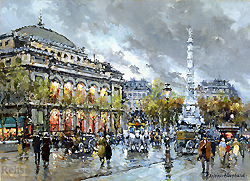 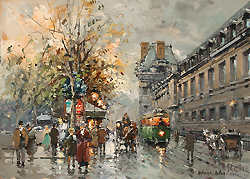 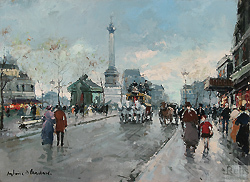 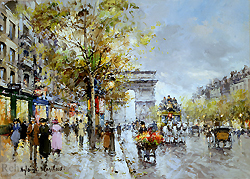 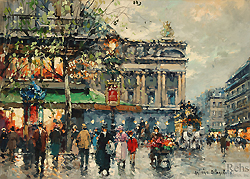 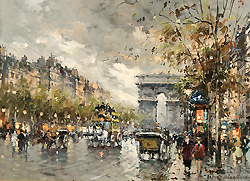 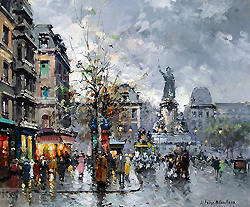 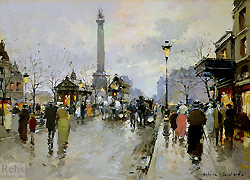 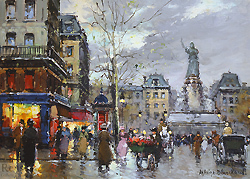 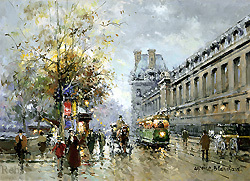 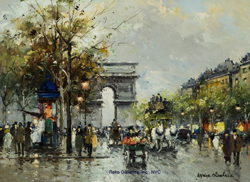 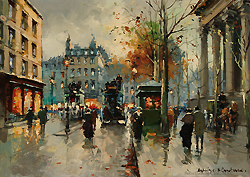 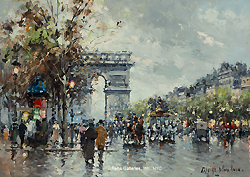 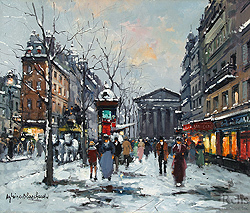 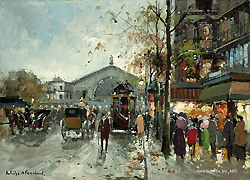 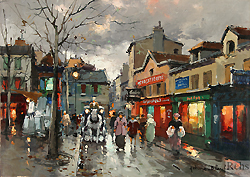 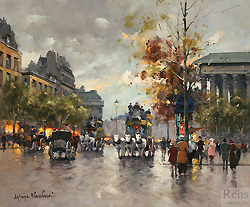 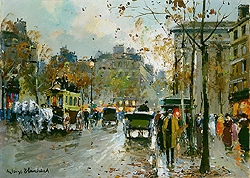 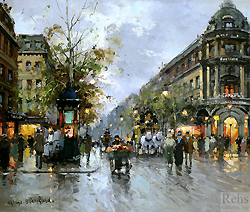 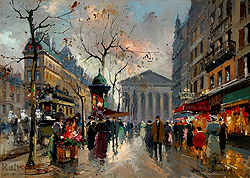 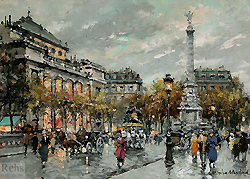 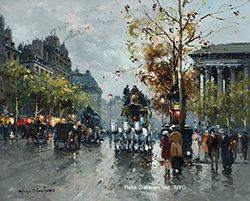 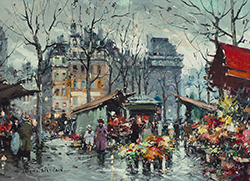 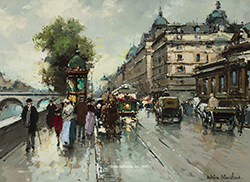 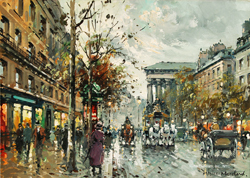 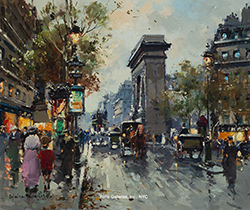 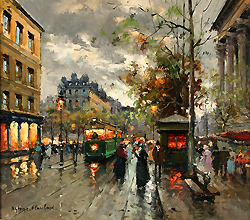 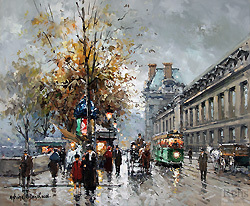 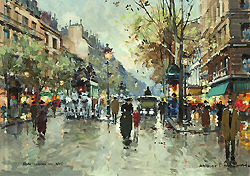 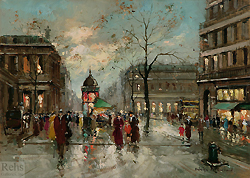 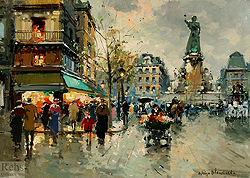 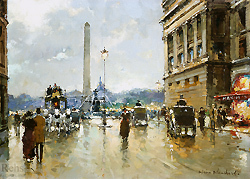 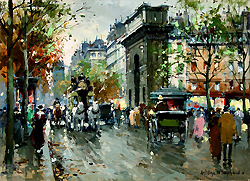 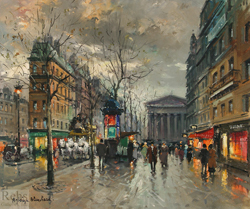 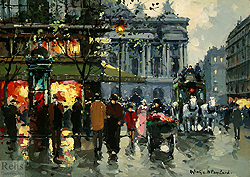 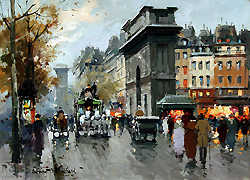 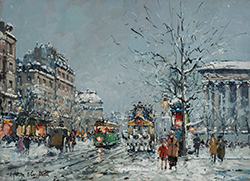 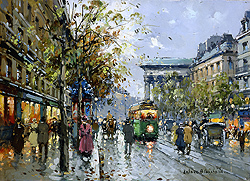 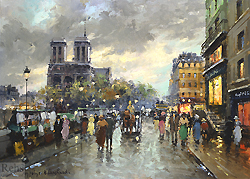 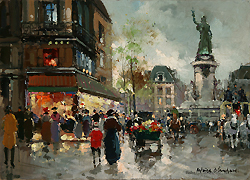 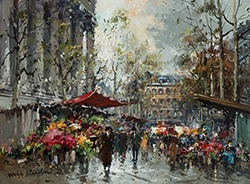 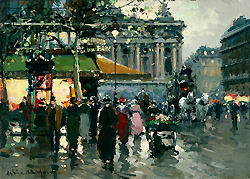 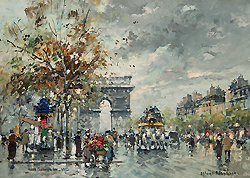 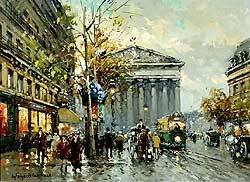 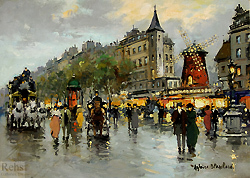 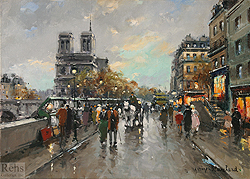 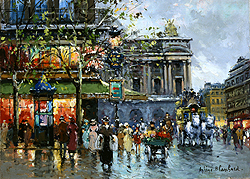 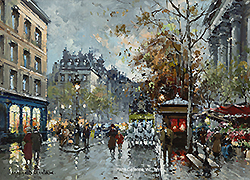 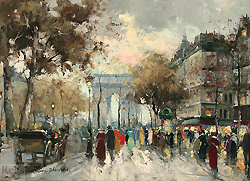 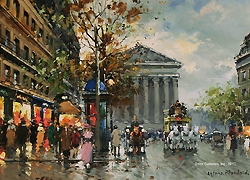 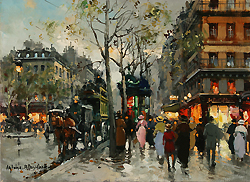 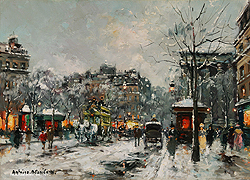 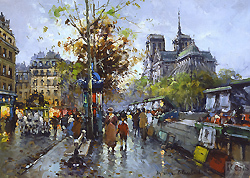 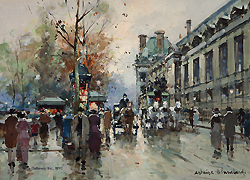 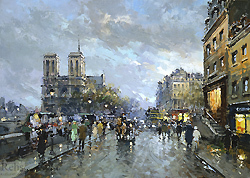 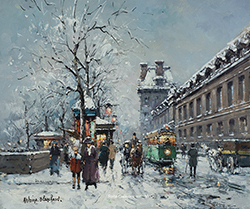 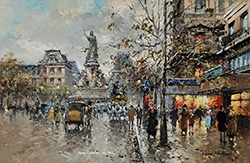 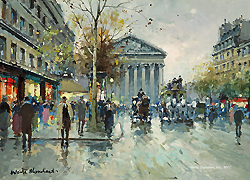 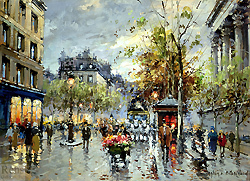 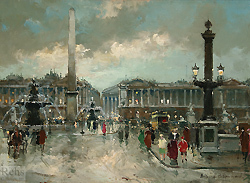 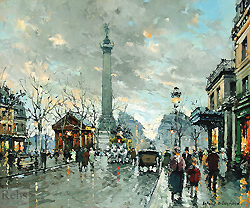 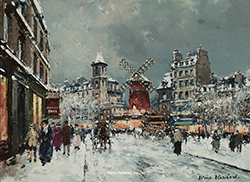 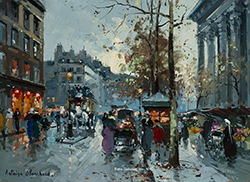 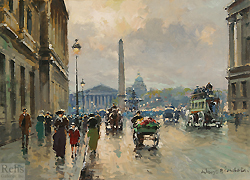 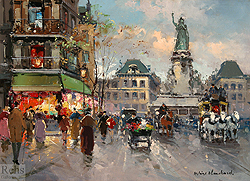 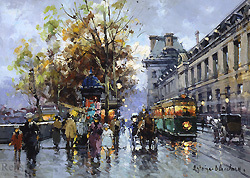 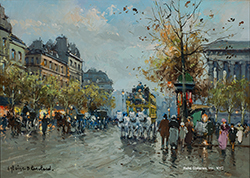 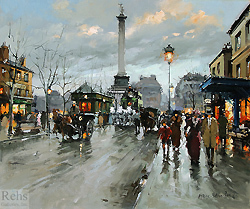 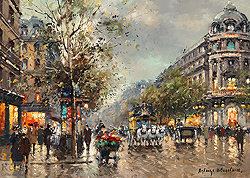 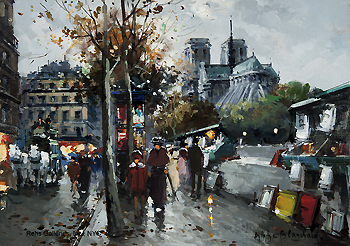 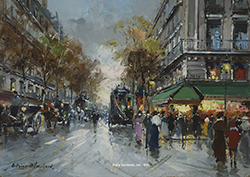 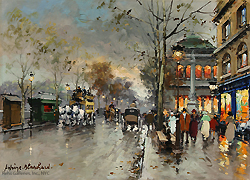 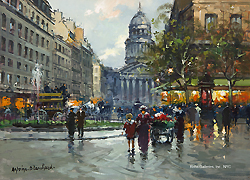 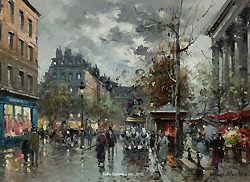 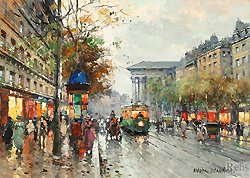 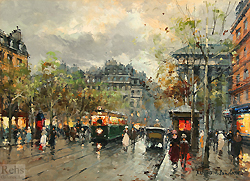 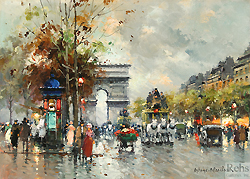 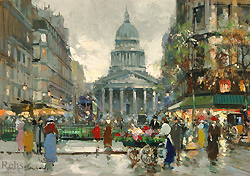 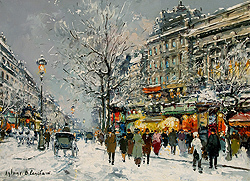 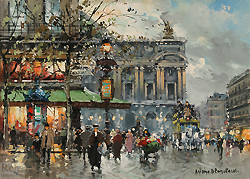 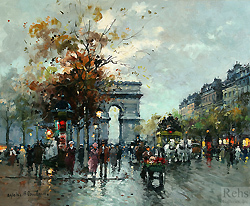 Antoine Blanchard was born in France on November 15, 1910 in a small village near the banks of the Loire. 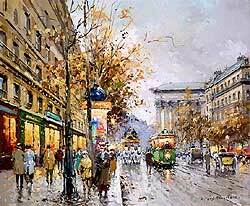 He was the eldest of three children and his father, a carver, managed a small carpentry and furniture shop. 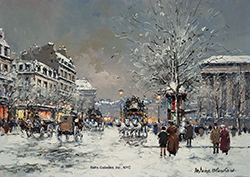 Antoine would watch his father hand carve the furniture and began to display an artistic flair early in life - in an effort to promote this talent, his parents sent him to Blois for drawing lessons. 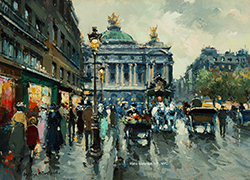 He continued his training in Rennes at the Ecole des Beaux-Arts where he studied sculpture and drawing. 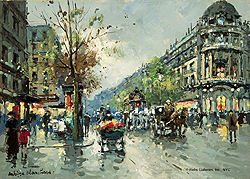 Upon completion of his studies, he was awarded the schools highest award: Le Prix du Ministre. 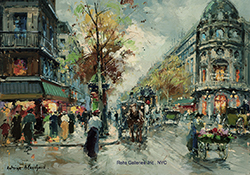 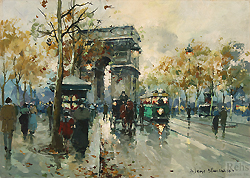 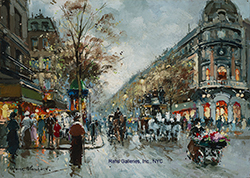 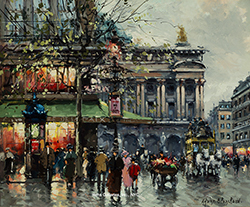 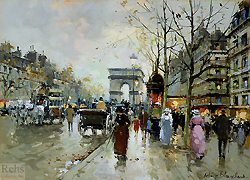 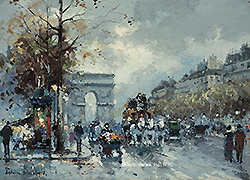 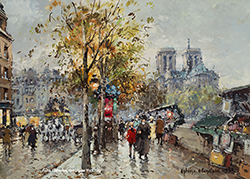 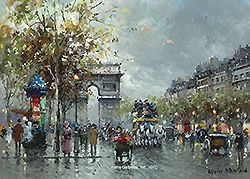 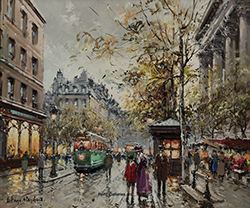 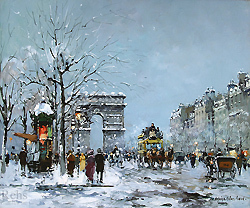 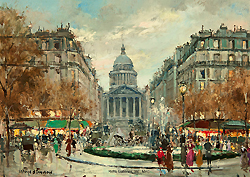 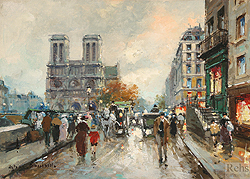 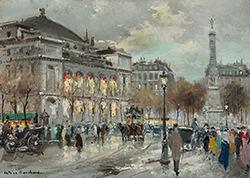 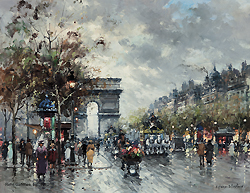 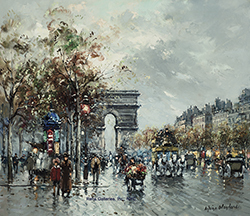 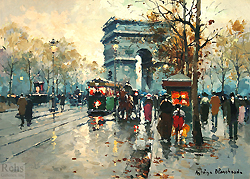 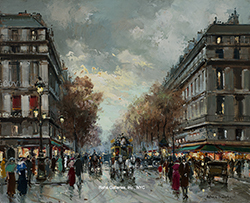 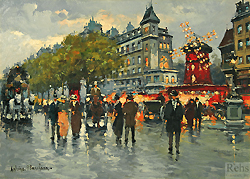 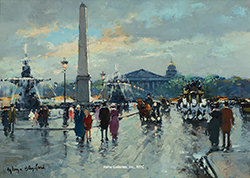 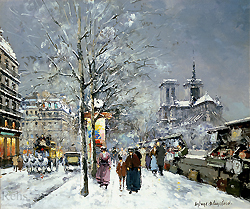 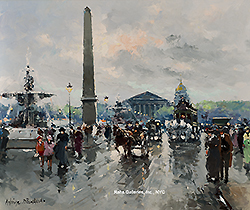 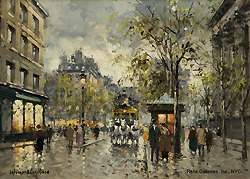 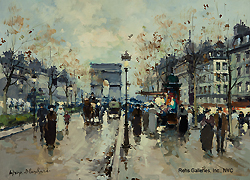 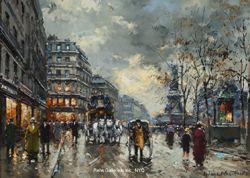 Whether it was l'Arc de Triomphe, la Madeleine, Café de la Paix, Notre Dame or the dozens of other historical monuments and buildings of Paris, his focus was on the daily life of Paris at the turn of the century. 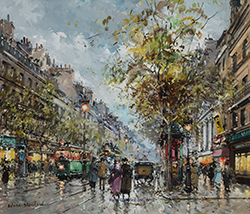 His work became highly sought after and collectors from around the world vied to acquire his new works. Today he is considered one of the leading exponents of the School of Paris painters. 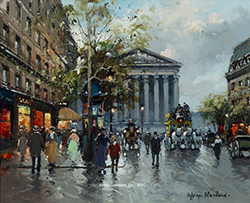 For more information on the artist, please read: The Blanchard Story?